Nicolas Cage needs a new hairstyle! Fresh in stock and ready to ship from TopatoCo! 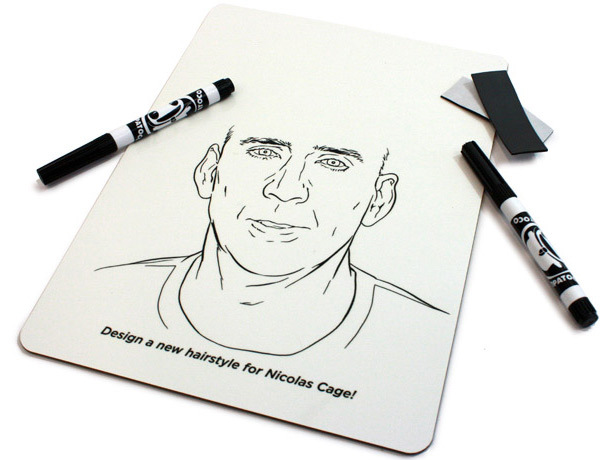 In the tradition of the Henry Rollins whiteboard, this Nicolas Cage memo board includes two dry-erase markers and magnetic mounts. Get yours before this offer recedes! 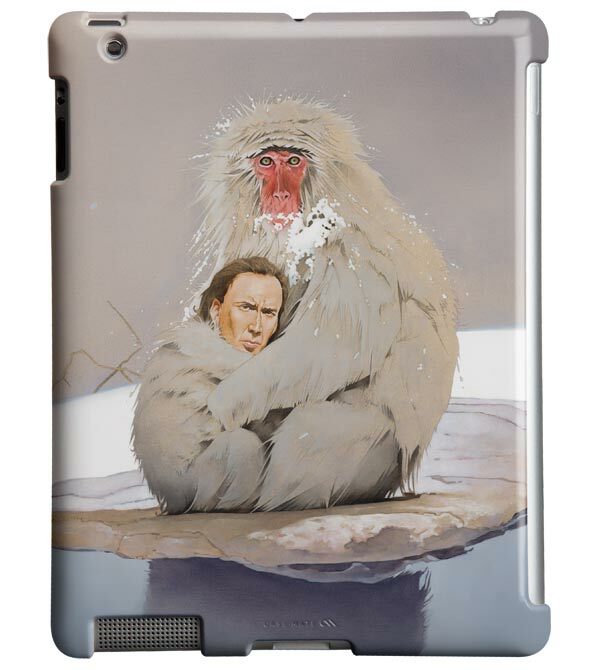 I have cases for iPads and iPad Minis now. Click through to see all the designs available. 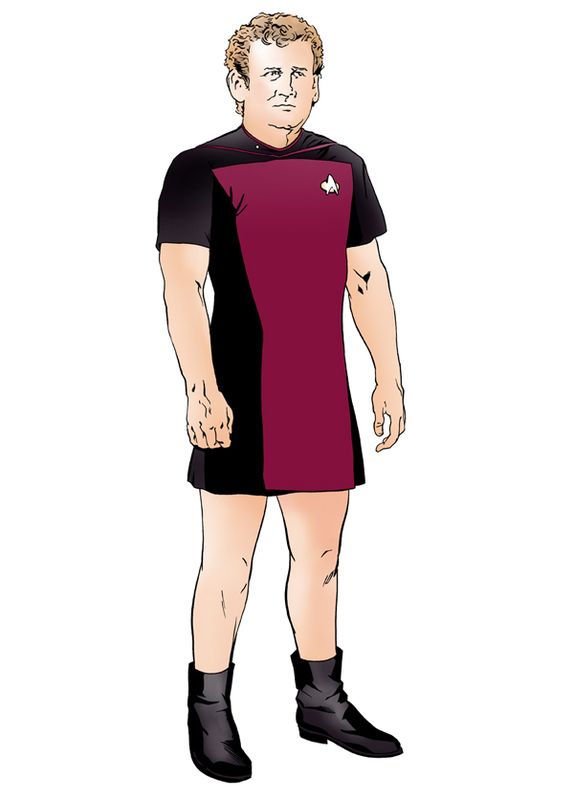 My contribution for this Star Trek art show at Q Pop in LA’s Little Tokyo February 16 – March 1st. I will also have The Lesson of the Geese on display. When things are at their lowest and the outcome seems bleak, look to a familiar face to light the way. 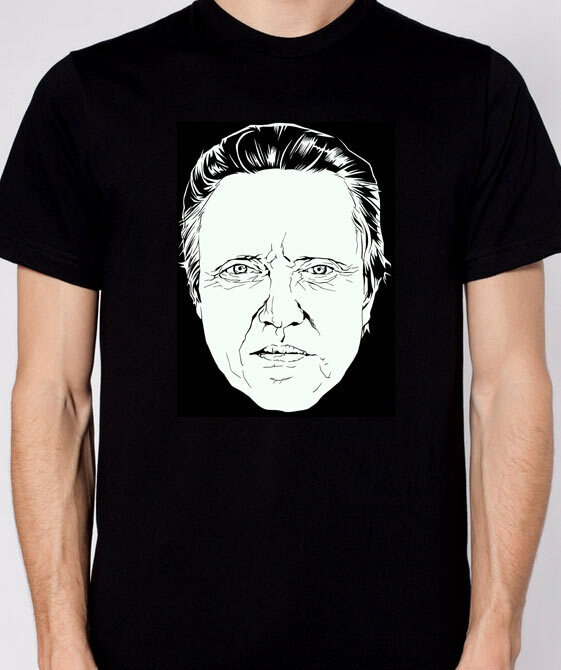 This glow-in-the-dark Walken shirt is new to the store and ready to ship. I’ll be joining the Topatoco gang at Emerald City Comic-Con, March 1 – 3 in Seattle! You can find us all weekend at booth 1002. Stay tuned to the Topatoco blog for more info!